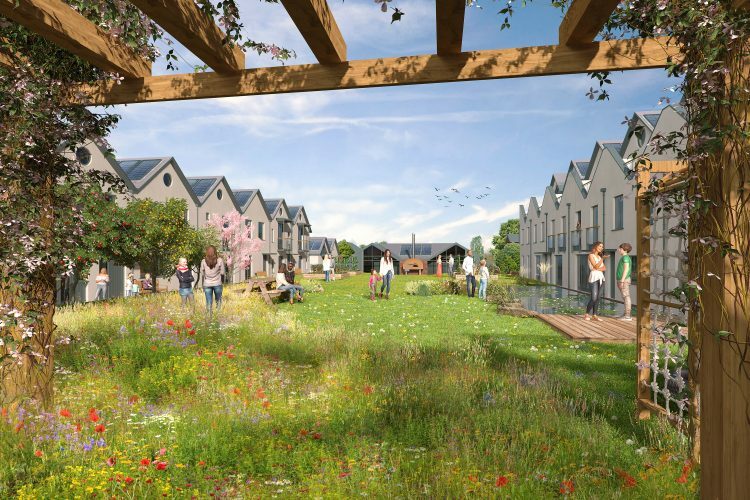 Marshall and Kendon Architects have worked with Bright Green Futures to propose 33 dwellings, set around a former reservoir on a steeply sloping site. 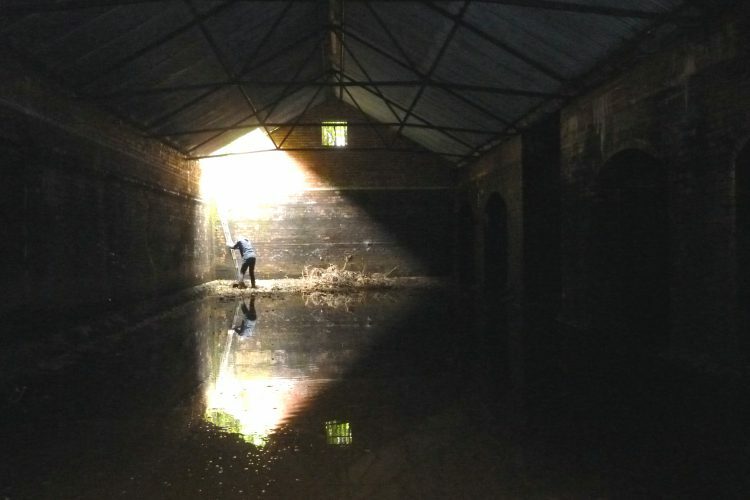 The retention of the existing reservoir structure, working with the site’s topography, and minimising impact on neighbours, were essential constraints when arranging the scheme across the site. 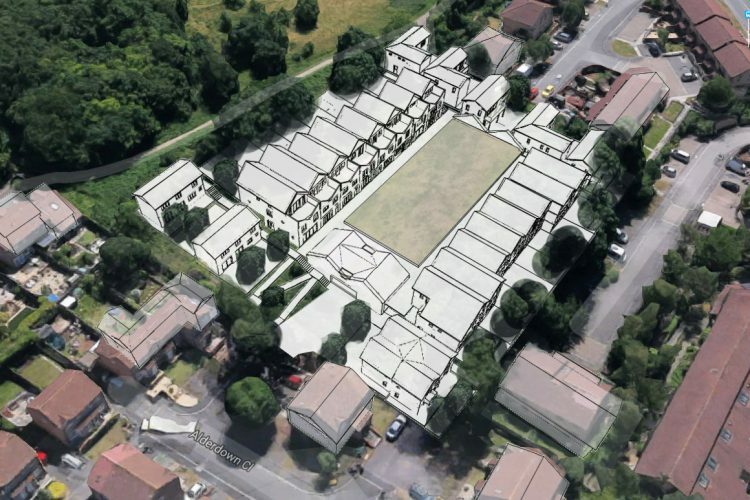 Two parallel rows of terrace houses are proposed, with a number of detached and semidetached houses at either end of the site. 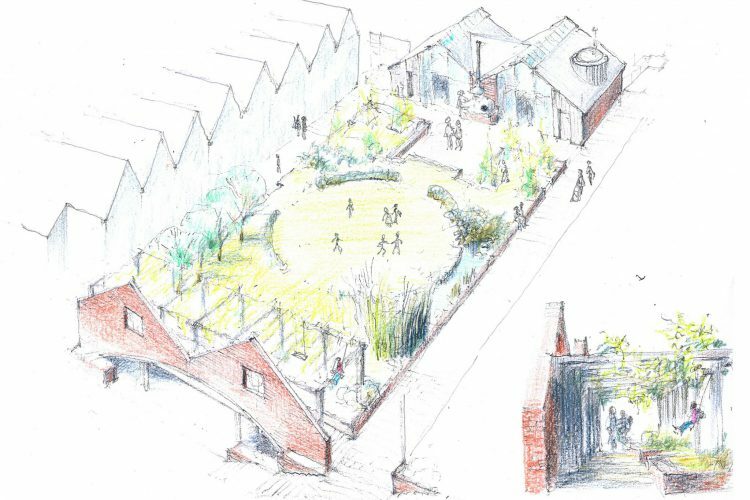 At the heart of the scheme, enclosed by the terraced houses and retained brick gables of the reservoir, is a communal garden. 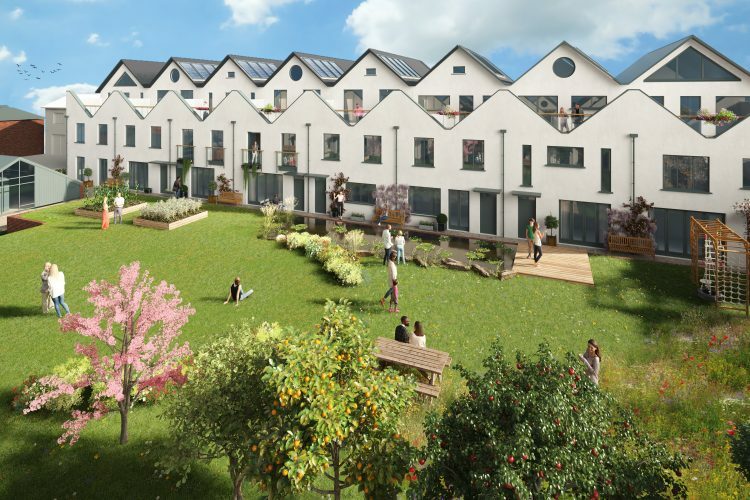 The car park is below the new communal garden, within the existing reservoir, to ensure the site is a green and open as possible. 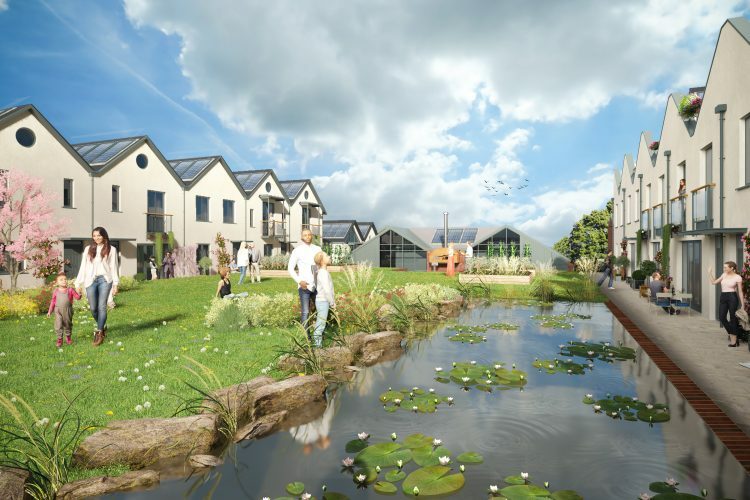 The scheme will ultimately house a community of self-builders, and each house is unique, having been individually designed with each self-builder. 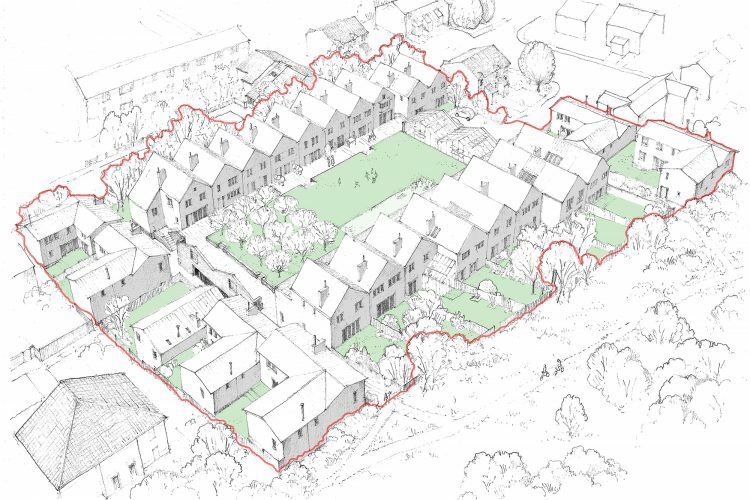 A simple and robust palette of materials and traditional building forms have been proposed, to ensure simplicity of construction and a degree of coherence across the scheme. 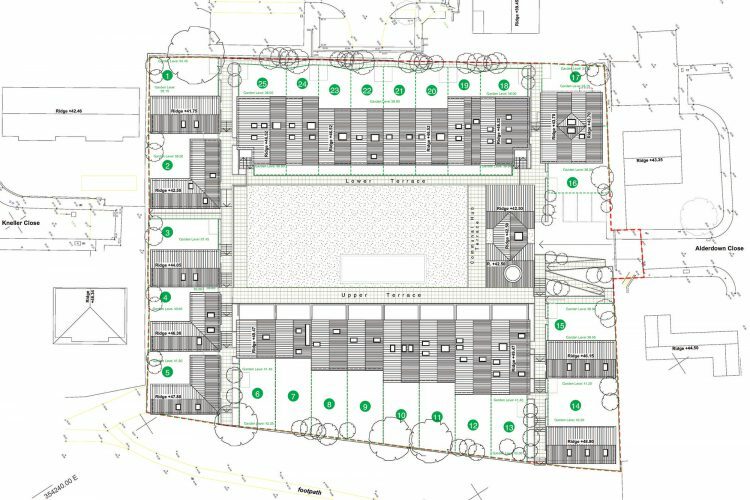 The scheme has been GRANTED Planning Permission with Bristol City Council, has gained Building Control APPROVAL with Bristol Building Control, and is going out to Tender in February 2019.